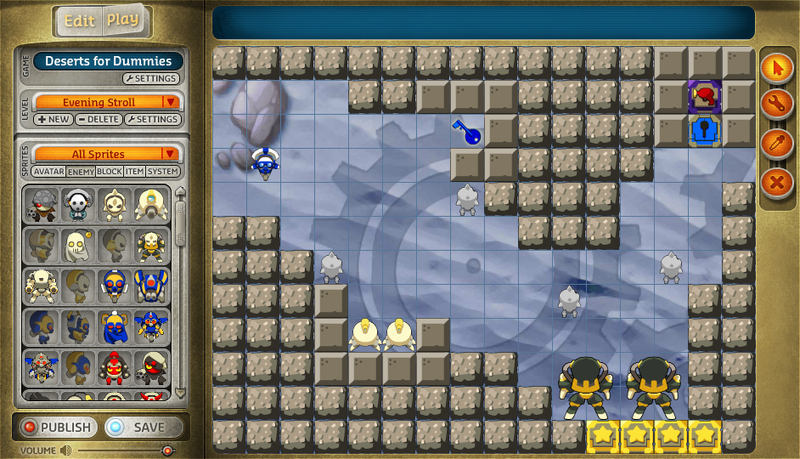 Write out the level title and select a background. 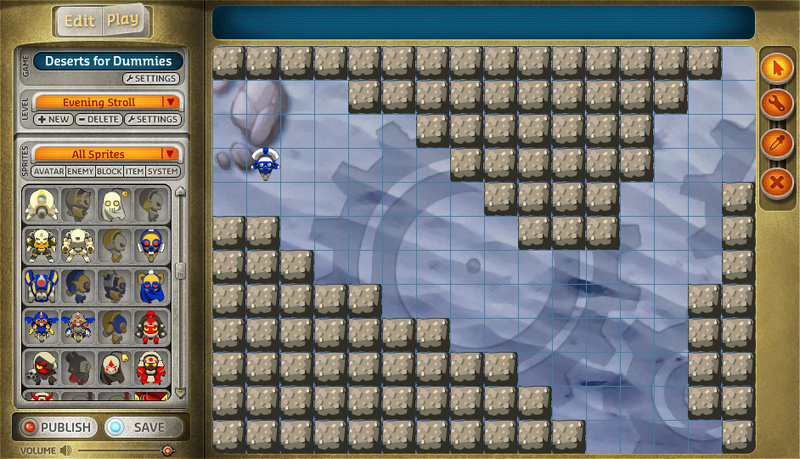 Choose a few sprites that you think will match up well with the level. Set up any necessary level settings. Create any large structures that you know you want to include. Figure out what route you want the avatar to take when completing the level. 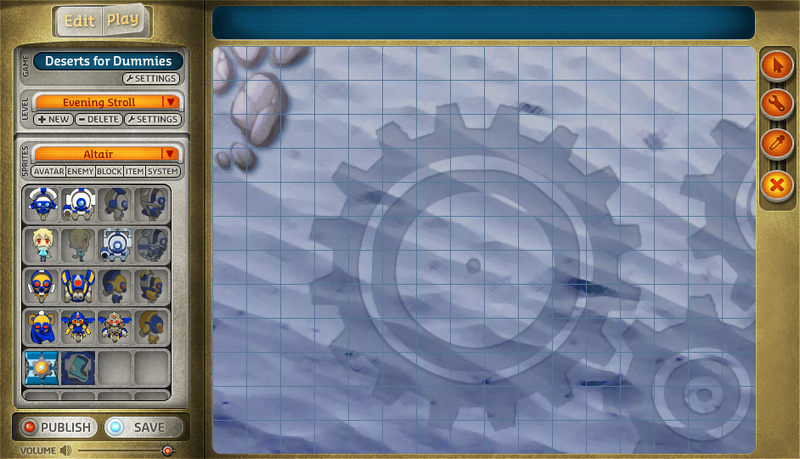 This is your chance to cement the visual elements and gameplay before moving into specific components. Consider the challenges that you want the avatar to face. Design the overall mechanics that you want to see in your game, and set up the level so that the avatar experiences everything you want it to experience. Don’t hesitate to modify some of the visuals if it helps to make the game stronger as a whole. The game you created in the last couple of steps should determine roughly what the player needs to do in order to win — now, set up the rest of the challenges along the player’s path. Make sure that no part of the game seems boring. Before adding many copies of a single sprite (such as the zombies in the above figure), check the sprite settings — if you notice a problem with one, you have to change all the others, too. Balance and test the game. 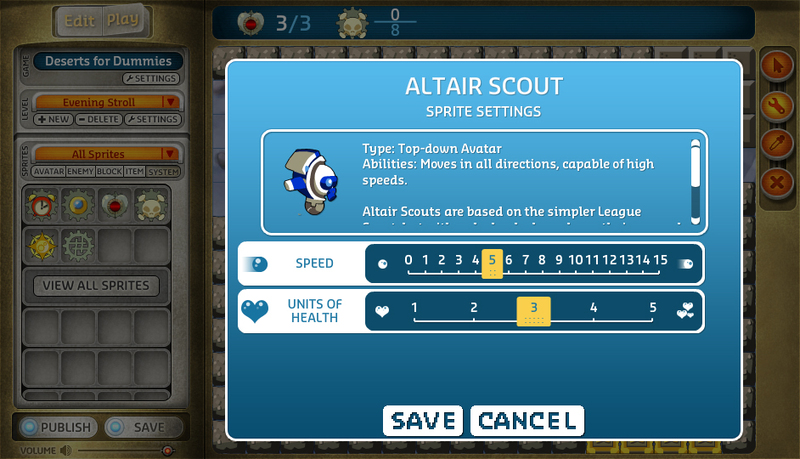 Add system sprites (such as the health meter), adjust the settings of the avatar, and revise other sprites as necessary. 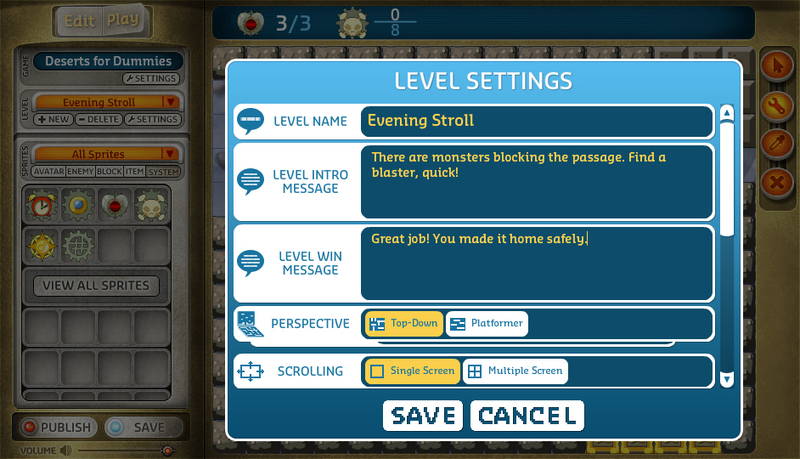 Finalize the Level Intro message and Level Win message. Go back to the level settings, and write the messages to display at the beginning and end of the level. Even if you have already completed this step, you may want to revise them, in case your vision of the level changed as you were creating it.